I've had a very busy day today, my workout, housework, shopping and taking kids to and from school took up most of my day today. Its been so busy that I didn't even plan out a menu for this week.....so I'll just make it up as I go along, LOL! Today I bought the Bertolli frozen meals for dinner which was ready in 10 minutes! Tomorrow I plan to make picadillo with white rice.....after that I have no idea! Our weekend was wonderful.....we finally had a day to go pumpkin picking...no rain, no baseball and lots of sun!! Saturday was the perfect day for some outdoor fun! We went to our usual spot, Ideal Farms in Lafayette, NJ. We had our niece and my son's friend go with us, plus my daughter's friend and mom met us there. We started out by feeding the goats, then we got our hayride tickets and headed to the pumpkin field. There were plenty of pumpkins, even though I felt like there were more in previous years but there was still plenty. As soon as we got off the hayride the kids took off! They walked the entire field before deciding which one to pick.....and it was a difficult decision, particularly for my daughter! I don't mind it at all though, I was able to snap away!! Here are a few pics from our day, hope you enjoy! 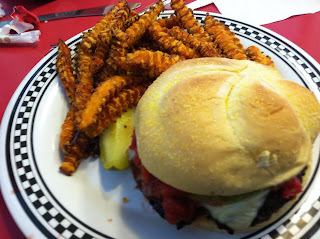 After hours of fun at the farm we were all starving, so we went across the street to the Chatterbox Drive-in. This is part of our tradition too.....we love this place. 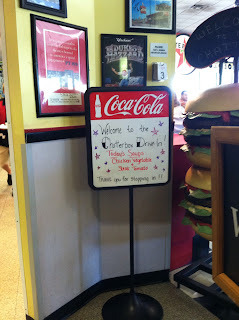 Aside from the great decor-all '50s inspired & my hubby loves it all-their burgers are out of this world!!! 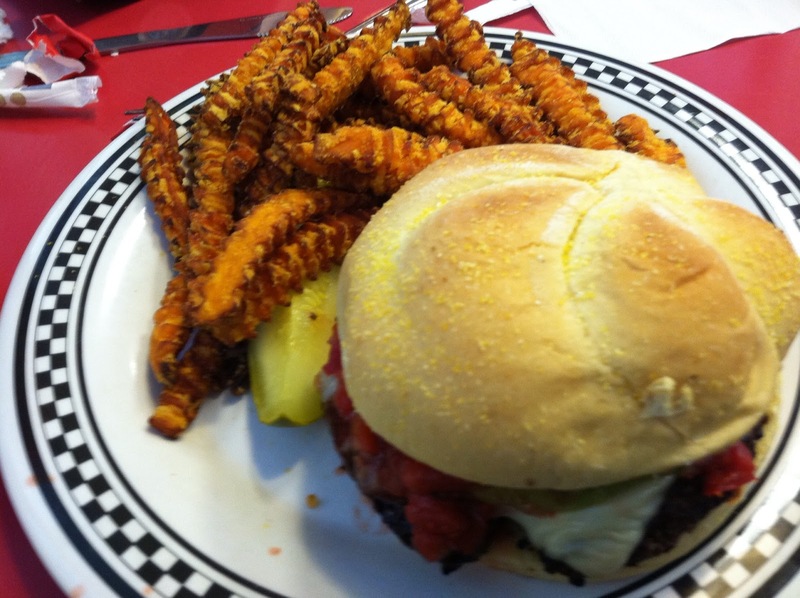 You can have a classic burger with many add-ons to choose from, or try something new, like my fave the Sombrero Burger! It had jack cheese, salsa and avocado....delicious!! Food is fairly priced and you really get a lot for your money. 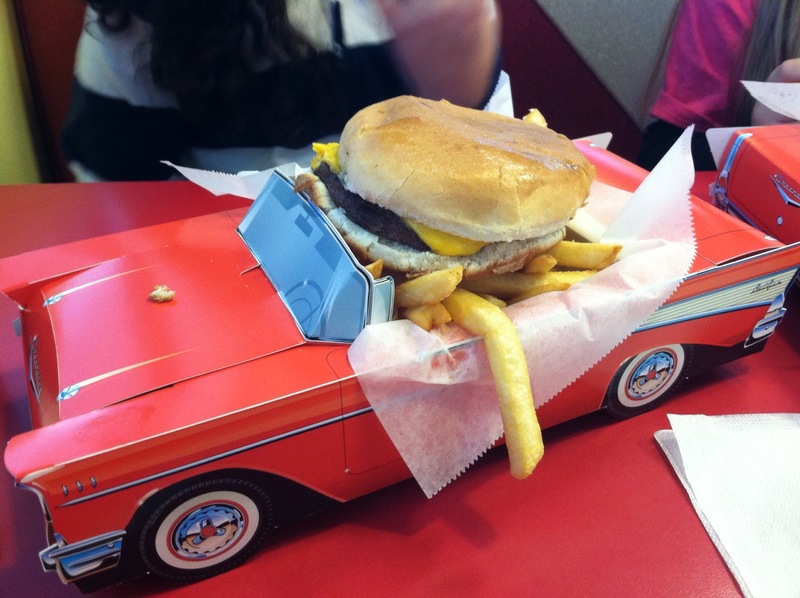 Oh, and the kids will love this place too.....their meals come in a classic car of their own. This was my daughter's meal in a car....so cute...she still has the car in her playroom! So, I didn't get to visit the Warwick Winery for apple picking and wine tasting, but atleast we got our pumpkin picking in before it was too late! This turned into a great weekend....Lots of fun with family & friends! !